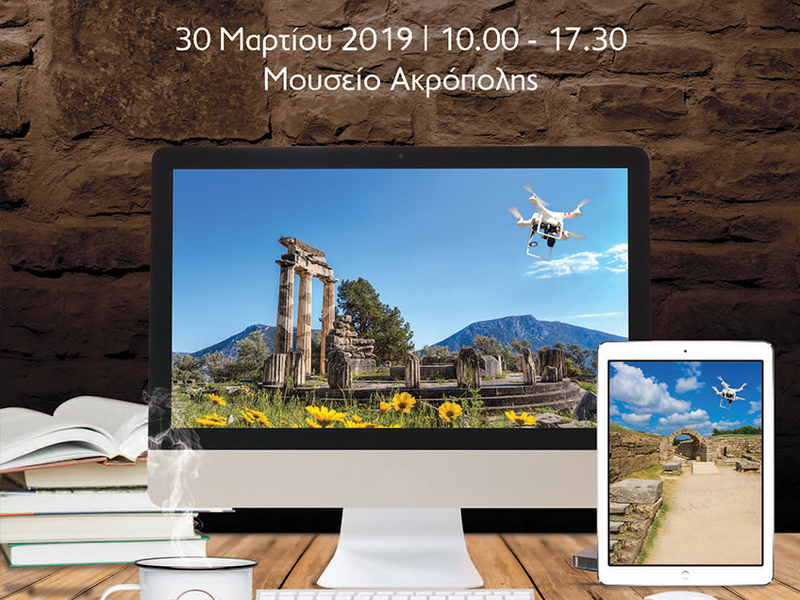 Dipylon participated in the conference "The Protection of Cultural Heritage in Greece in front of the digital challenge" organized by the Hellenic Association of Archaeologists which took place in Athens on Saturday, March 30th in the auditorium of the Acropolis Museum. Our paper was entitled "Applying Geographic Information Systems in Athens Western Hills" (Athens Western Hills) and was presented by our associates, Matina Lampraki, survey engineer, and Aspasia Tsatsouli, archaeologist, at the session "Digital applications in the fields of cultural heritage protection". From the presentations as well as from the discussion that followed, it became apparent that digital technologies constitute an inextricable part and essential tool in archaeological research. The examples from the excavation and field research to the processing of various evidence in a geospatial environment (like our project on the Western Hills) demonstrated the range of possibilities emerging from the collection, organization, and combined depiction of the archaeological, historical and cartographic data on a single cartographic background in a webGIS environment (https://map.athenswesternhills.org/).